In modern times we sometimes forget where our food comes from. Meat comes from “the store” and food scraps are treated as garbage and packed into the landfill. Part of the fun in sustainable design is creating a closed loop system where no waste is created. The chicken and vegetable scraps from dinner are placed into the compost bin. 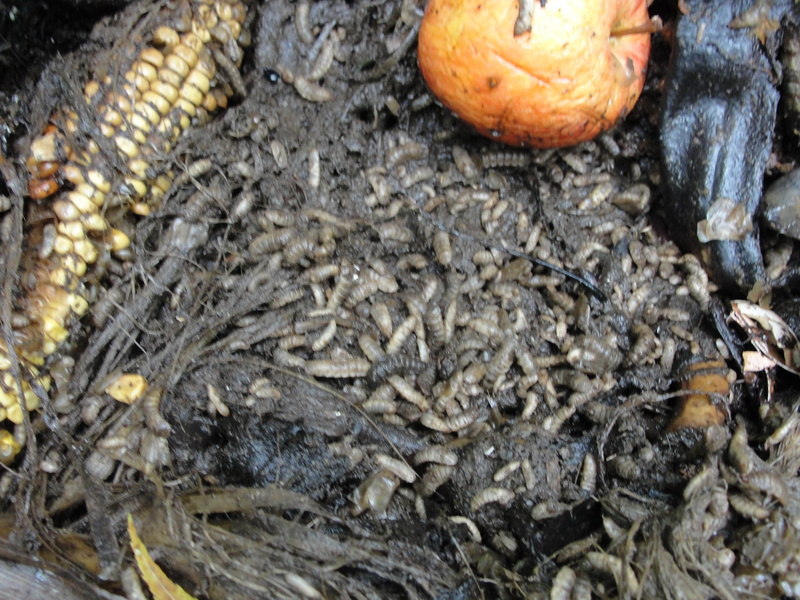 Black soldier fly larvae eat the scraps thus converting the material back into an edible protein. 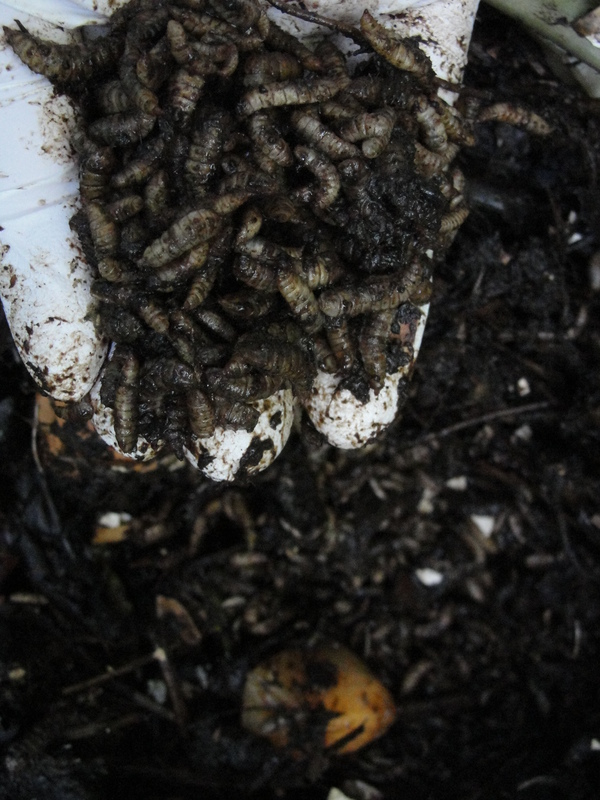 Black soldier fly larvae are then fed to the chickens. 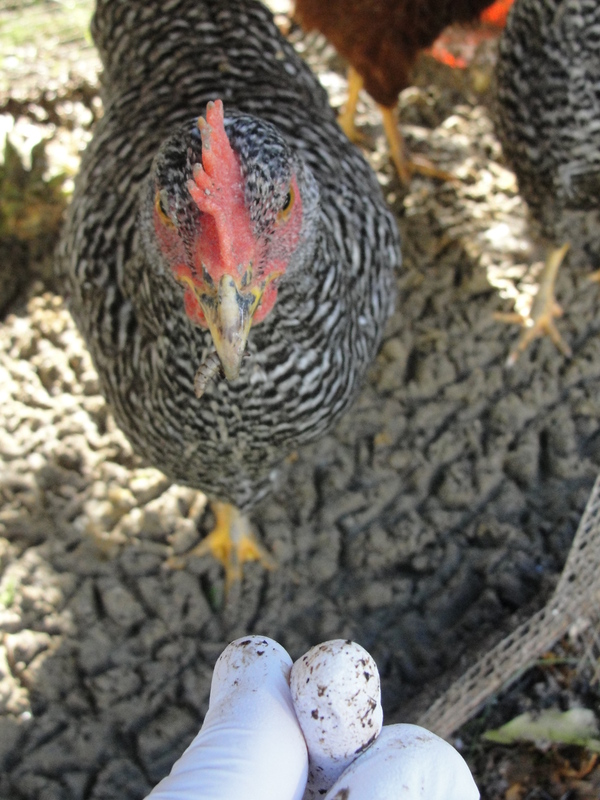 The chickens are then eaten by humans or used for egg production while their manure is used to fertilize the garden. The scraps from the garden, leftover meat, and egg shells are put back into the compost bin to repeat the cycle thus closing the loop. This serves many functions. It reduces waste, cuts down on the amount of food I need to purchase from the store, reduces the amount of chicken feed I need to purchase, and provides me with a way to create my own fertilizer for my garden. 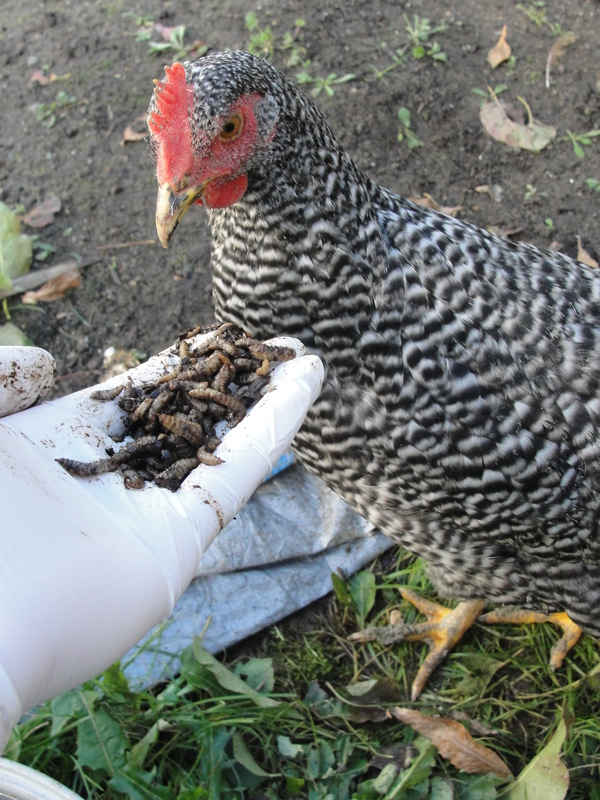 During the winter the chicken manure can be added directly to the compost pile to generate heat that will help the BSFL survive the winter. Note some farmers state BSFL who consume chicken meat should not be fed back to the chickens so you must incorporate another creature into the loop. Tilapia love BSFL. So here is the workaround. You create two BSFL piles. One that includes chicken scraps, one that includes your fish scraps. 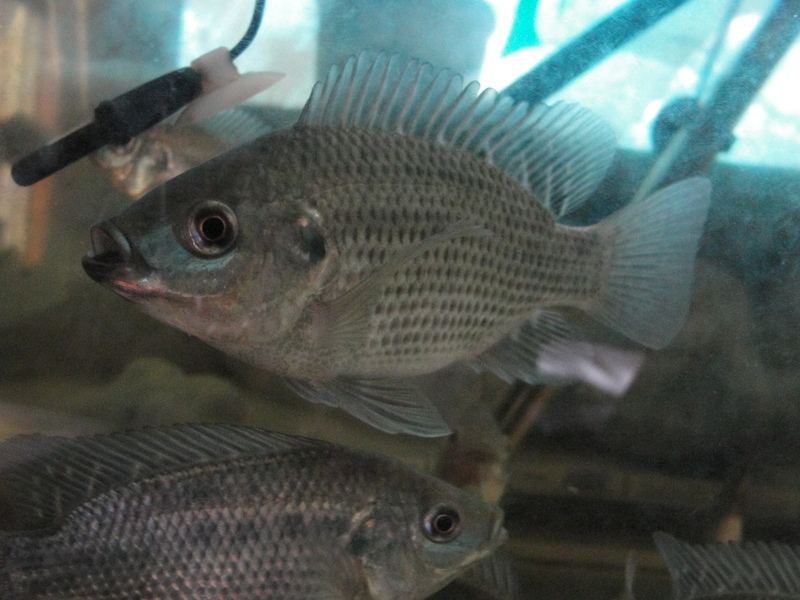 The BSFL that consume chicken scraps (among other things) are fed to the fish, and the BSFL who consume the tilapia are fed to the chickens. I am still doing further research on this topic.